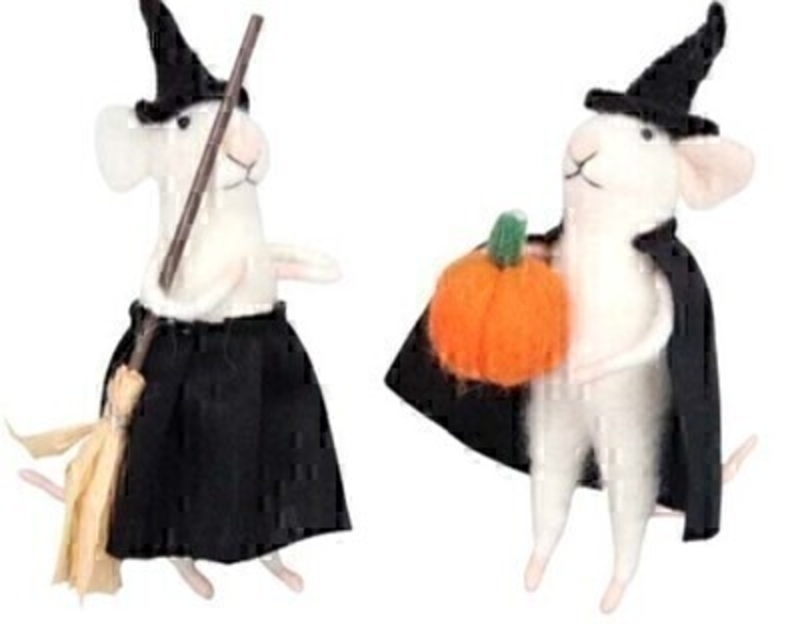 Spook your Halloween guests with these halloween mice dressed up as a witch by designer Gisela Graham made from wool. Choice of 2 mice available - If you have a preference please specify when ordering. Mouse one has a broomstick and Mouse two has a pumpkin will make a great addition to your halloween decorations.